The best teeth whitening comes from the best cosmetic dentist in the Yonkers. Yonkers Dental Spa offer laser teeth whitening in Westchester NY, as well as Zoom whitening. Zoom teeth whitening is a proven way to brighten your smile, and Zoom whitening costs are now reasonable. Laser whitening in Yonkers, on the other hand, is more expensive, but lasts up to three years. One of the quickest and most non-invasive methods to improve your smile is to whiten your teeth. Over the years, the white enamel on your teeth gets worn down, becoming more translucent. The aging process allows the yellow color of the tooth’s core, or dentin, to show through. Extrinsic stains exist on the surface of your teeth that result from exposure to dark-colored beverages, foods and tobacco, as well as normal wear and tear. These stains respond well to routine cleaning or professional Zoom teeth whitening. Intrinsic stains lie below the surface of the teeth and result from trauma, exposure to certain minerals or chemicals, aging and illness. 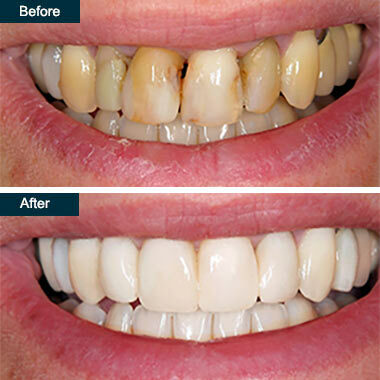 In the past, these stains were thought to be unreachable, but with a cosmetic dentist specializing in laser teeth whitening in Yonkers, you can achieve satisfying results. Laser teeth whitening in Yonkers is the best teeth whitening treatment, but it’s also the most expensive. You see a slight change in the shade of your teeth over the next few days as your teeth adjust to the process. It’s quick, usually requiring about an hour. It’s non-invasive — no drilling, stitches, anesthesia or needles. It improves the color of your teeth, making them instantly whiter and brighter. Zoom whitening costs have reduced over the years to around $500. Your whitening specialist monitors your progress, reducing the risk of gum irritation. There’s no risk of enamel stripping due to abrasives. You see instant, noticeable results with whitening anywhere from three to ten shades. You may experience temporary tooth sensitivity, although most people find this wears off within a few days. Your gums become slightly irritated if the bleaching gel contacts them. Any white spots on your teeth may become more prominent after treatment. If you experience tooth or gum hypersensitivity, have deep, intractable stains, or your teeth are transparent from age, you may not be a good candidate for Zoom teeth whitening. Yellow, brown or gray smiles inhibit self-confidence. Whether genetics, past decisions or events, or simple aging have darkened your teeth, Zoom teeth whitening restores the healthy and youthful bright smile you remember. Long-lasting, quick, safe and effective laser whitening in Yonkers is also available to improve your dental health and appearance. Every individual’s needs are different, but the best teeth whitening provides consistent, instant results. Do you have any questions about the Zoom Whitening (laser teeth whitening) procedure in Yonkers, Westchester NY? For more laser teeth whitening information or to schedule an appointment with the best teeth whitening dentist in Yonkers please contact our dental clinic for consultation.